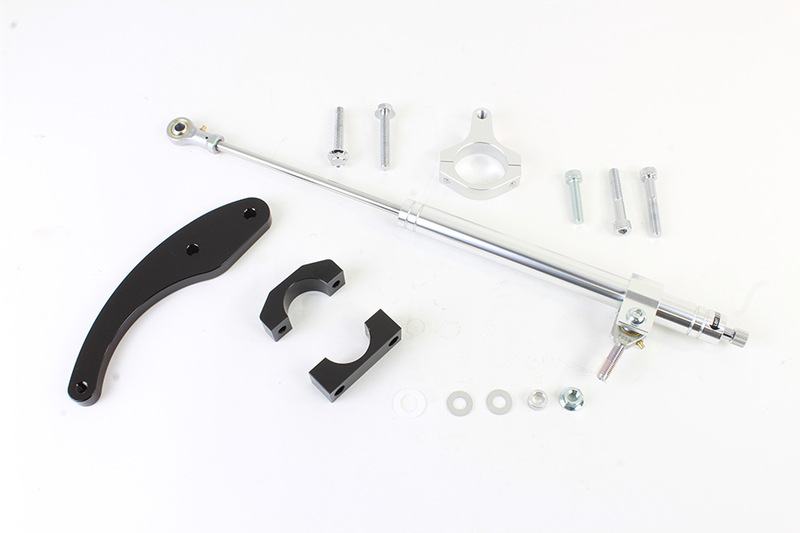 Fork steering damper kit for Touring models attaches to lower fork stem and crash bar. Includes damper and correct mounting hardware. *NOTE: Will not work with lower fairing covers.